David is one of the most successful comet discoverers in history. He has discovered 22 comets, nine of them using his own backyard telescopes. With Eugene and Carolyn Shoemaker at the Palomar Observatory in California he discovered Shoemaker-Levy 9, the comet that collided with Jupiter in 1994. That episode produced the most spectacular explosions ever witnessed in the solar system. 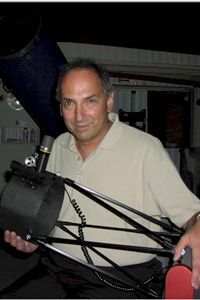 Levy is currently involved with the Jarnac Comet Survey, which is based at the Jarnac Observatory in Vail, Arizona but which has telescopes planned for locations around the world. Levy is the author or editor of 35 books and other products. He won an Emmy in 1998 as part of the writing team for the Discovery Channel documentary, "Three Minutes to Impact." As the Science Editor for Parade Magazine, he is able to reach more than 80 million readers, almost a quarter of the population of the United States. A contributing editor for Sky and Telescope Magazine, he writes its monthly "Star Trails" column, and his "Nightfall" feature appears in each issue of the Canadian Magazine Skynews. David Levy has given more than 1000 lectures and major interviews, and has appeared on many television programs, such as the Today show (4 times), Good Morning America (twice), the National Geographic special "Asteroids: Deadly Impact", and ABC's World News Tonight, where he and the Shoemakers were named Persons of the Week for July 22, 1994. Also, Levy has done nationally broadcast testimonials for PBS (1995-present), and for the Muscular Dystrophy Association Telethon (1998-1999). He and his wife Wendee host a weekly radio show available worldwide at www.letstalkstars.com. In 2004 he was the Senator John Rhodes Chair in Public Policy and American Institutions at Arizona State University. He has been awarded five honorary doctorates, and asteroid 3673 (Levy) was named in his honor. Ian Morison began his love of astronomy when, at the age of 12, he made a telescope out of lenses given to him by his optician. He attended Chichester High School and then went on to study Physics, Mathematics and Astronomy at Hertford College, Oxford. In September 1965, he became a research student at the University of Manchester's Jodrell Bank Observatory. In 1970 he was appointed to the staff of the Observatory and teaches astronomy at the University of Manchester. 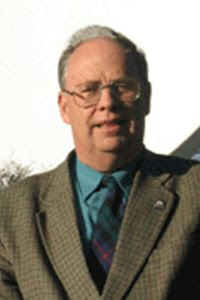 In 1990 he helped found the Macclesfield Astronomy Society which meets at the Observatory and later became president of the Society for Popular Astronomy, the UK's largest astronomical society. He remains on the Society's Council and holds the post of instrument advisor helping members with their choice and use of Telescopes. He lectures widely on astronomy, has co-authored books for amateur astronomers and writes regularly for the UK astronomy magazines Astronomy Now and Sky at Night. He also writes a monthly sky guide for the Observatory's web site and produces an audio version as part of the Jodrell Bank Podcast. He has contributed to many television programmes and is a regular astronomy commentator on local and national radio. Another activity he greatly enjoys is to take amateur astronomers on observing trips such as those to Lapland to see the Aurora Borealis and, last year, to Turkey to observe a total eclipse of the Sun. In 2003 the Minor Planets Committee of the International Astronomical Union named asteroid 15,727 in his honour citing his work with MERLIN, the world's largest linked array of radio telescopes, and that in searching for intelligent life beyond our Solar System in Project Phoenix. Ian is excited about the prospect of his time as Gresham Professor of Astronomy. He regards it as real challenge and expects it to play a major role in his life for the next three years. He will to give a wide variety of illustrated lectures ranging from how our understanding of the Universe has grown over the centuries to a gentle introduction to Einstein's theory of Gravity - now being tested to extreme accuracy by astronomers at Jodrell Bank. He realised that his love of observational astronomy could not easily be covered in the City of London, so has instituted a Gresham Astronomy Weekend at a 'dark sky' location in the Cotswolds which will take place in March each year. He also recently accompanied a trip to southern China to observe the total eclipse of the Sun in July 2009. Marc is an observational ground based astronomer and will use any facility and technique that can provide useful data. In support of this leaning he is very interested in both telescopic instrument development and in robotic observing systems. Marc also pursues the very specialized art of stellar occultation observations by solar system bodies, usually with portable systems. Often just collecting data is not enough for Marc so he also develops a lot of software for data analysis and modelling. When possible he also observes with the Hubble Space Telescope, largely in support of his research of Pluto, Marc is also a collaborator with the New Horizons mission to Pluto and provides input and support to the project whenever he can. 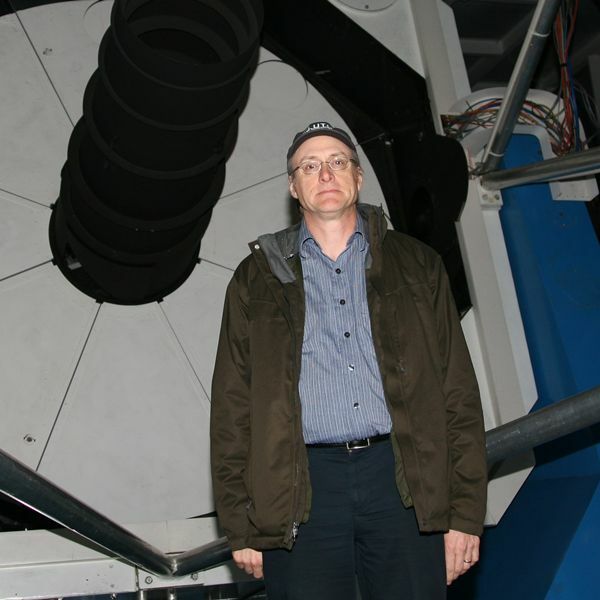 During the course of his research Marc spends time scanning skies for new objects in our solar system. Usually, he looks for Kuiper Belt objects (things at or beyond Pluto) but quite often he discovers a previously unknown asteroid in the main asteroid belt between Mars and Jupiter. This area contains information about those asteroids whose orbits are well enough known that Marc is allowed to name them. All of these objects are names that he has submitted and are approved by the International Astronomical Union. After years of work Marc has completed reconstructing maps of the surface of Pluto from images taken with the Hubble Space Telescope. His work is included in the official press release from the Space Telescope Science Institute and NASA. Award winning filmmaker Ginita Jimenez founded Father Films in 2005 to produce her first fiction short String, which screened at 15 International Film Festivals in Europe, USA and the UK. 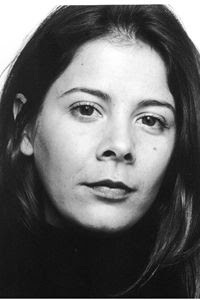 In 2006 Ginita began work on Naming Pluto, her directorial debut. 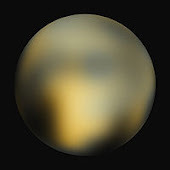 Since 2008 Naming Pluto has screened at 43 International Film & Science Festivals in 18 countries, winning ‘Best Documentary’ awards and an official IAU/UNESCO Special Global Project endorsement during the International Year of Astronomy 2009. Since Naming Pluto Ginita went onto produce documentaries for ITV & the BBC and direct and produce films for the United Nations. The latter took her to Bangladesh, South America and South & Western Africa. Ginita is a bilingual Spanish/English speaker, self shooter and member of the National Union of Journalists. She is currently developing several documentary projects and writing her first fictional short, entitled The Visit, for release in 2011. 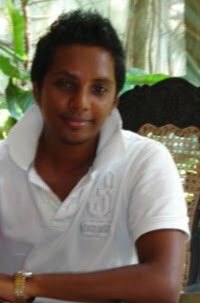 Thilina Heenatigala is an amateur astronomer/astronomy educator from Colombo, Sri Lanka. His passion for astronomy has made him occupied most of the time conducting out reach programs locally and internationally. Thilina is more interested in improving astronomy education in developing countries and as a result he co-founded the "AstroBookDrive" initiative as an effort to share resources with astronomy groups from developing countries. He is mainly involved in Sri Lanka Astronomical Association as the General Secretary and with Astronomers Without Borders as the Coordinator of the AWB Global Leadership Network. When not busy doing astronomy, he enjoys writing, reading traveling and fashion designing. 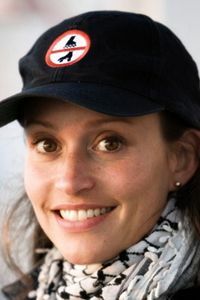 A Swedish citizen, Carolina Ödman studied physics engineering in Switzerland before receiving a Ph.D in Comsology from Cambridge University in 2003. She took a post-doctoral position at the University of Rome La Sapienza after a short job at UNESCO and a brief lecture circuit at the African Institute for Mathematical Sciences. She has been the project manager of UNAWE since September, 2005. Julie Taylor taught in the Adelanto School District for 37 years. She retired in 2007, but has continued to be a 2nd/ 3rd grade math tutor for 4 Adelanto Schools and the NASA/science advisor for Columbia Middle School, a NASA Explorer School. At Columbia she still instructs teachers about NASA and provides students with science activities. Her years of teaching now total 39. She continues to serve the science educational community as an educational consultant for the Jet Propulsion Laboratory in Pasadena, California and for the Space Telescope Science Institute in Baltimore, Maryland. She is currently a Solar System Educator, a Messenger Fellow, and an Heliophysics Ambassador. Julie is her district’s first National Board Certified Teacher. 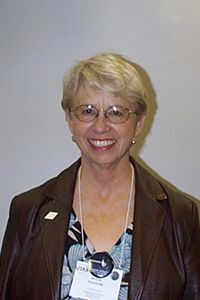 She amassed many awards over her years of teaching including being selected as the Presidential Awardee for Elementary Science in 2001, the NSTA Distinguished Teaching Award for Middle School in 2007, the National Aeronautics and Space Administration Group Achievement Award in 2006 and 2008, the Crystal Apple Award from KNBC in 2000, the Council for Elementary Science International/CIBA Exemplary Elementary Science Teacher Award in 1999, and the Young Astronaut Teacher of the Year/American in Space Award in 1994. She was a four time awardee in Who’s Who Among America’s Teachers. She and her students participated in the Young Astronauts Program from 1986 through 2002, and she wrote the grant for Columbia Middle School to become a NASA Explorer School. Through her work with NASA, Julie has been involved in creating two activities for the Space Telescope Science Institute’s Amazing Space Website (Galaxies Galore, Games and More, and Planet Impact). Recently for the Jet Propulsion Laboratory, Julie was involved in development of two language arts/science e-books (Reading, Writing, and Rings and one to come out in December called Through the Eyes of Scientists). She continues to work to provide the youth of the world with inspirational avenues to learn science. Janet Ivey is committed to enriching the lives of children through education and programming. With over ten years in the media, Ivey has captivated Nashville and beyond with her work and she has received numerous accolades for her productions. On June 3rd, 2009 Janet accepted her 3rd Gracie Allen Award for the Outstanding Children’s/Adolescent Program Category for Janet’s Planet still reeling from her January 2009 Informational and Instructional Emmy for Janet’s Planet, her sixth Emmy for her “planet.” Other Emmy wins for Ivey include the 2008 Regional Emmy in the Informational and Instructional Emmy for Janet’s Planet, and the 2006 Regional Emmy in the Children’s Programs Category for Janet’s Planet presented by the National Academy of Television Arts & Sciences. In 2005, Janet won the Emmy in the Children’s Educational Category and the Emmy in Children’s Entertainment Category for Janet’s Planet. 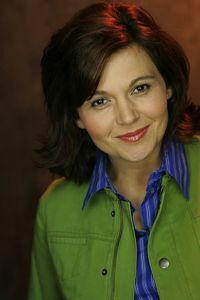 “Janet’s Planet” garnered the Emmy in 2003 in the Children’s Educational Category and Janet won an Emmy in 1997 in the Best Children's Video Category for her roles as co writer and on camera talent for “The Opryland Kid's Club” video. Joan Chamberlin is a recently retired special education teacher and avid amateur astronomer. Her love of space science began in the 1960's, when President Kennedy gave his famous speech that rocketed the US into the Space Age. Toward the end of her Peace Corps tour, she watched tv with Thais in Bangkok, as Neil Armstrong first stepped onto the moon. She was proud of the US accomplishment, but even prouder when she heard his words, "That's one small step for man, one giant leap for mankind." These words made the entire world a part of this momentous event and paved the way for international cooperation in space science. Joan is a NASA JPL Solar System Ambassador for Maine, USA. She is a member of the Astronomical Society of Northern New England, Southern Maine Astronomers, and Greater Portland Astronomical Society. She is actively involved in outreach with all three clubs and with Southworth Planetarium at the University of Southern Maine. Joan has organized Space Day for her school district for the past 7 years. She is a local observing expert for the online Astronomy Lab course at the University of Maine, Orono. 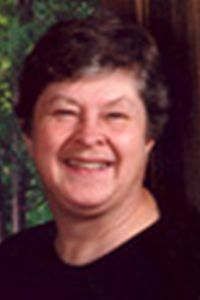 Joan enjoys writing, traveling, learning languages, and camping; but nothing excites her more than a great star party! This entry was posted at 11:57 PM and is filed under Naming X, People . You can follow any responses to this entry through the comments feed .